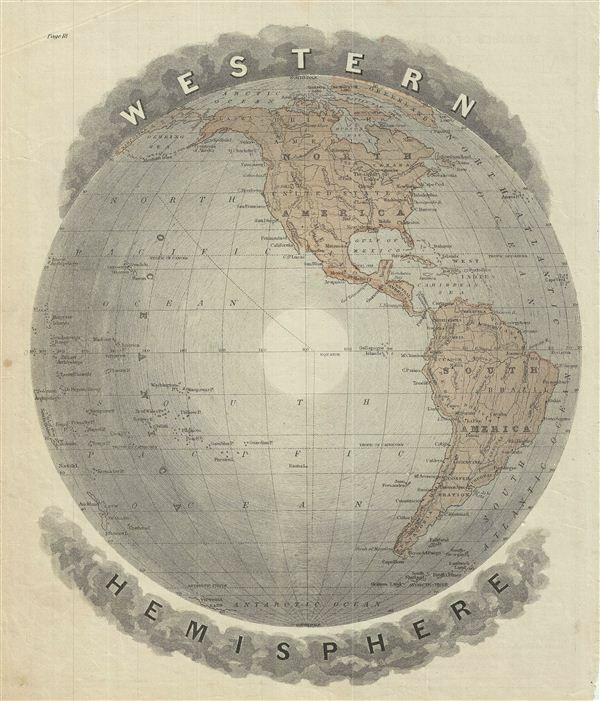 This is an example of David M. Warren's 1879 map of the Western Hemisphere. Offering a fascinating snapshot of the world during a period of rapid globalization and discovery, this map includes North America, South America and most of Polynesia. Antarctica is only tenuously denoted, reflecting the primitive state of exploration in the region. Throughout, the map identifies various cities, towns, rivers, deserts, islands, mountain passes and an assortment of additional topographical details. The map is color coded according to regional and political boundaries with elevation rendered by hachure. Issued as page 18 in the 1879 edition of Warren's Common-School Geography.